Over the coming weeks members of the Rotary Club of Mission Beach will be actively seeking sponsors to collaborate with on the erection of a Water Play Park at Rotary Park, Wongaling Beach. Rotary members have spent countless hours working with council, visiting other regions with water play parks, speaking with technical experts and investigating options around the best possible fit for our community. 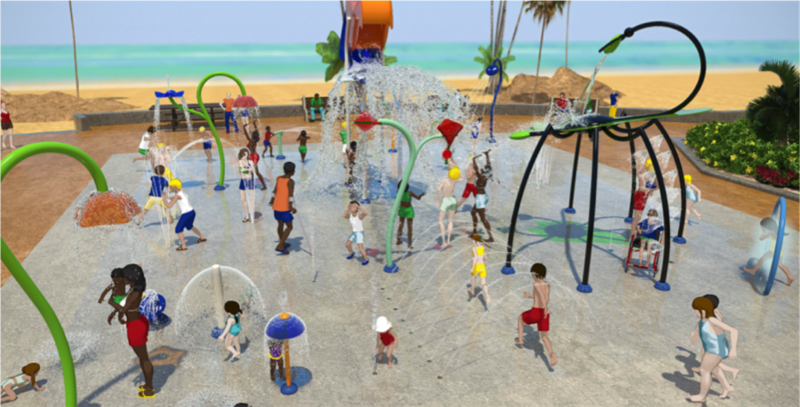 We believe the Water Play Park will be not only a local attraction but will also entice visitors to our community to stay longer, as has occurred in other regions like Bowen and Airlie Beach. By providing a safe and stinger free water play place locals and visitors will be able to relax with their families on the beach front setting with arguably one of the best views in the world. If you are interested in being part of this project please contact Ru Carslake on 0417 017 852 or Tom Brown on 0437 314 080. As well as monetary support, we are accepting in-kind donations.